FrogTape® is the UK’s number 1 branded masking tape! FrogTape® is the UK’s number 1 branded masking tape. No other tape delivers straight lines like FrogTape, thanks to its unique PaintBlock® Technology, which forms a micro-barrier that seals the edges of the tape to prevent paint bleed. This makes it perfect for getting really creative with paint in the home! A quick and cost effective way to liven up a room is to create a feature wall with paint and Frog Tape. PaintBlock is a super-absorbent polymer, which reacts with paint and instantly gels to form a micro-barrier that seals the edges of the tape, preventing paint bleed. As consumers demand ever more complex and eye-catching finishes in their homes, professionals need the UK’s number 1 branded masking tape in their toolbox more than ever. Feature walls have been popular for some time. 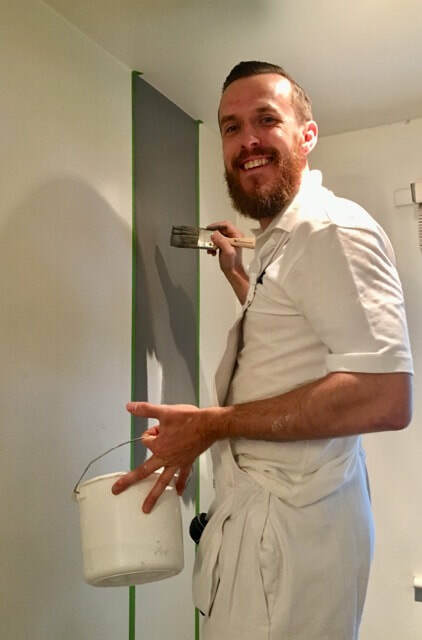 Professional decorator Alex Holt is increasingly seeing homeowners looking to the leisure industry for inspiration. “Using one colour throughout a room remains the paint style of choice for most people, but we are definitely seeing feature walls becoming more popular. These walls started as one distinct area of wallpaper, for example behind a headboard or around a fireplace,” says Alex. “We love using wallpaper and the ranges available now are just fantastic. “Paint also works with the people within the home. Textures such as flat matt are great for families, and endurance paints are tough for homes with children and pets. Reflective paints, meanwhile, can really brighten rooms, so we are using these paints more and more. “Another factor is that the design can be unique. We’ll work closely with the customer to create something truly bespoke, which is key in children’s bedrooms, for example, where a mountain shape or seascape is the brief. How to create a stunning guest bedroom with a feature wall! It is incredibly easy to create a guest bedroom that will give your friends and family the feeling of a boutique hotel, thanks to an on-trend blackboard sign above the bed. 1) Prep the whole wall by removing any old paint or paper. 2) Sand and clean thoroughly. 4) Paint your base coat and two coats of white matt. 5) Once the paint is dry, use Frog Tape Delicate Surface Painter’s Masking Tape to create your blackboard effect design. Make sure you mask out rows first, then any square and diagonals last. Rub the edge of the tape to get a good seal. 6) Use a black matt or chalkboard paint to full in the shapes. Allow each coat to dry before the next. Use a flat artist’s brush. 7) Once the paint is dry, use a pencil to create the wording. 8) Full in the wording with a white paint pen. You may need to use a few coats. If you make a mistake, you can use the black paint to cover and try again. Dress the room and welcome your guests! T-Rex Tape is the ferociously strong tape that is perfect for all tough repair and building jobs. More durable, weather resistant and longer lasting than other tapes, it is double the thickness of ordinary tapes and yet produces an easy, clean tear – just right for quick repairs. What’s more, it can stick to any surface, making it ideal for indoor and outdoor home improvement tasks. A huge hit with professional builders in the US and here in the UK, T-Rex is a toolbox essential, with a new waterproof version just launched in the UK. This addition to the hugely successful super-strong T-Rex range can adhere to wet surfaces and actively STOP LEAKS. With a hyper-aggressive adhesive, it will hold in place for a longterm seal until the damaged product can be replaced. Extensive testing by the leading tape manufacturer has proved that the rubberized backing of T-Rex Waterproof not only stretches around tough bends and corners, it can be actively pushed into cracks and seams for a better seal, thanks to its durable R-Flex technology. 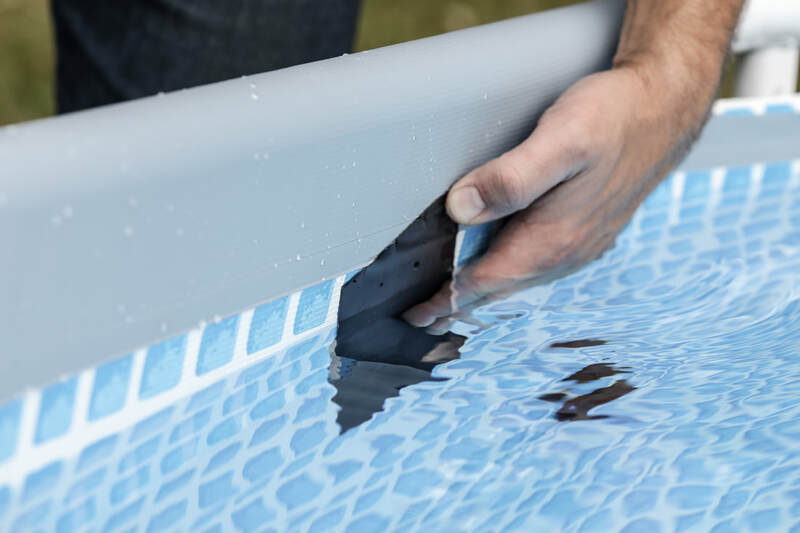 Says Alan Murray, Shurtape UK Head of Marketing: “UV resistant and useable in temperatures from -70 degrees to 200 degrees Fahrenheit, this tape can even work when applied underwater, meaning a whole new range of fixes can be solved. 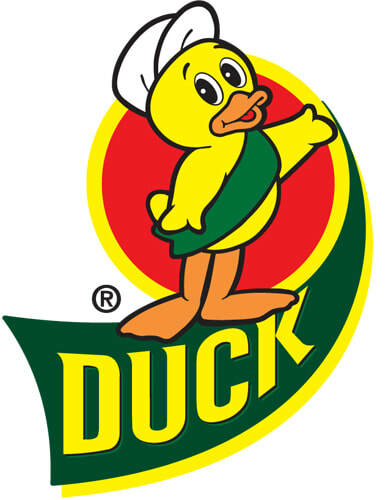 Create, repair, fix - whatever you have planned around National Home Improvement Week, The classic Duck Tape brand will probably have a product for the job! The Duck Tape range of masking and cloth tapes can be used around the house, garage or garden, with masking tape, packaging tape, exterior tapes and coloured and patterned craft tapes giving you a range of decorating, mending and upcycling options. You can use Duck Tape for labeling, upcycling, decorating, fixing, removing lint and hair, securing wires - even temporarily repairing cracks in glass! Keep a few rolls in your toolbox as Duck Tape truly is the home improver’s best friend. And for tips and ideas, check out our website.